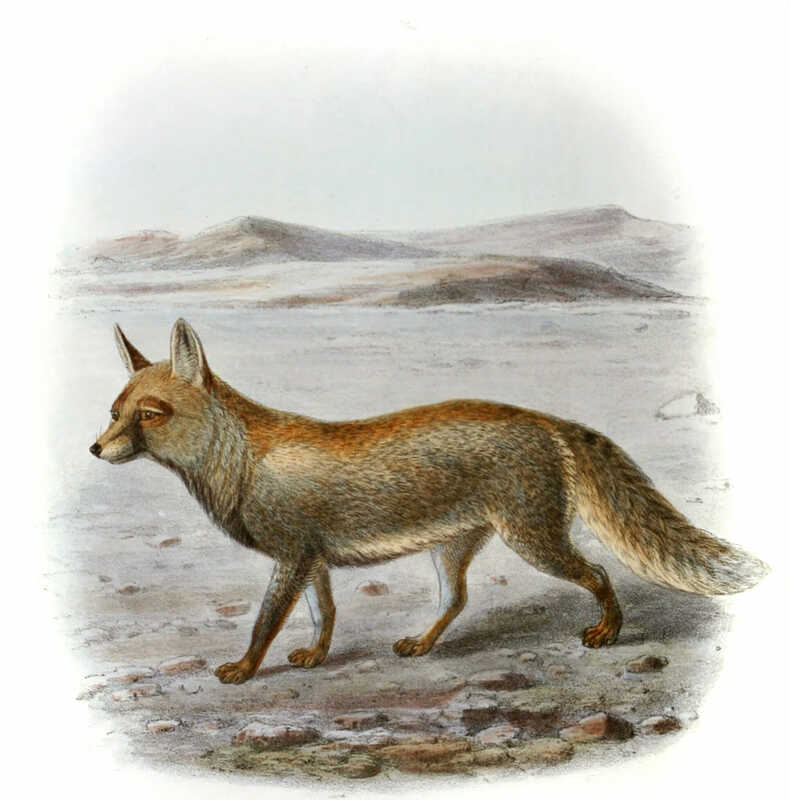 19th-century book illustration of a desert fox. Curated from Dogs, jackals, wolves, and foxes: a monograph of the Canidae. Published in 1890.